Seriously, for those of us who are technologically challenged, understanding acronyms like API’s and SQL’s, and how they apply to software, would take us too many years’ worth of study to even contemplate, especially if it’s not part of our wiring. Software development language is one best left to the experts. Trying to come close to understanding it would be like expecting your family doctor to fix the car! But, this is what Netgen is here for; to make understanding how to streamline software to perform according to the unique requirements of your business a lot easier. The young, innovative team of custom software developers in Cape Town at Netgen, have been gathering to produce web solutions for South Africans, by South Africans, since 2000. Nothing gives more comfort to anyone who wants custom software to streamline processes than knowing you’re dealing with a company that has as consistent a reputation and foundation as Netgen does. This invaluable experience is put into practice once you sit down with the team to discuss what it is you expect of the software you’d like developed. Netgen takes the knowledge you have of your business, adds it to their experience and puts it all together in a process that is designed specifically to save you time and money. Wasting time with tools you don’t need or use in an off-the-shelf software package, and negotiating a complex system, is not worth the money it may cost if you need to do extra development to make it really work for you. That’s if it’s even possible to do according to the software company it’s licenced to. Oh, and think about the intense training required to get your staff up to date with how the off-the-shelf software package you’ve bought works, all adds up to unnecessary time and expense wasted! New software doesn’t fit old software, and this is a problem for all who’re sitting without support for obsolete software, but it’s one that can be overcome when you work with the pro’s at Netgen. They’ll take Delphi or Visual Basic systems and convert them to web-based platforms and into new SQL (there’s that acronym again!) versions, which means that you will never have to redevelop software again. 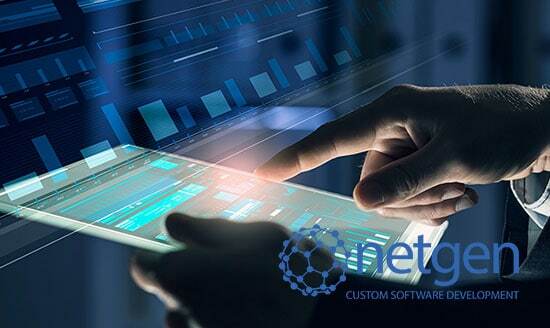 With a custom software system like this, suited to your specific operations, you won’t have to redevelop software each time your company grows – Netgen makes sure there’s room to grow when you need to add additional functions to the software. The transition from old to new is done so smoothly by the team at Netgen that downtime is non-existent – business still goes on – and understanding the new system is going to be a whole lot easier than trying to learn the language of another off-the-shelf software package. It makes absolute sense, from a financial, organisational and local perspective, to invest in an affordable custom software package in Cape Town and Johannesburg, before you even think of trying to fit your processes around an off-the-shelf generic software package, which is inevitably what happens. Don’t change the way you do business to suit the software, make the software perform the way you need it to in order to improve efficiency and reduce costs by contacting the friendly team at Netgen for a consultation to start the ball rolling. This collaboration can only result in application-specific software that’ll be yours, and yours alone. …….by the way, API stands for Application Programming Interface, and SQL is short for Structured Query Language. Got that? No? That’s okay, the team at Netgen is standing by to do the translation for you, with pleasure! Next PostGet the most out of your website with an integrated website marketing strategy!